Time to Change (West Cumbria) is a project providing a safe place to accommodate the growing homeless population in West Cumbria. The former Police Station in Egremont, will be converted into a new social enterprise created to offer a ‘hand up’ not a ‘hand out’. Due to open in September 2015, Calderwood House is a place of opportunity and a place of change. It not only offers a roof over people’s heads but life skills, apprenticeships, a health and well-being programme, paid work and most importantly, a new beginning to become a valued member of society once again. The project gives priority to ex-military personnel from West Cumbria. 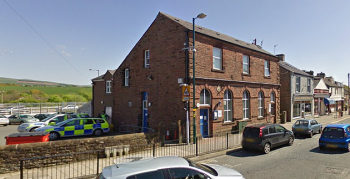 Rachel Holliday, Company Director of the Time to Change (West Cumbria) Project said: “The Police and Crime Commissioner kindly agreed to lease to us the former police station for £1 a year peppercorn rent on a 25 year lease to become ‘Calderwood House’. The social enterprise aims to be self-sustainable with only 5% of their income dependent on grant funding in the second year. Their income is a mixture of rent, income generated through social enterprise business, fundraising and sponsorship. Rooms are sponsored by local businesses each year, who are encouraged to speak to residents regularly about the world of work, consider offering work experience placements and speak at events. Currently, one in five people who are homeless are ex-service personnel. The criteria for finding accommodation for those who are homeless is very strict; of the 284 people who approached Copeland Council’s homeless department last year, only 19 met the criteria. The NMP Community Fund awarded the social enterprise £15,000 towards the staff training programme. It was important that as well as their staff being committed, innovative and creative, that they are trained to a high standard to ensure their residents have the best support available to them. Those eligible for places at Calderwood House are referred from several agencies and will be “well-vetted’’. 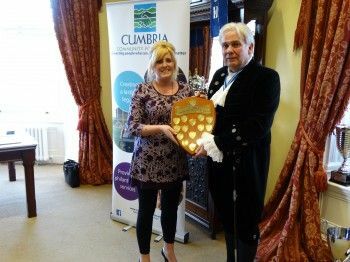 The project has been supported by Home Group, Inspira, and Whitehaven and Egremont District Credit Union.